I am reminded (again) that I might be getting old. Getting old in the tech business is not as much fun as it once was, and one email that made it through my multiple spambots yesterday sparked a flashback to my youth, when windows were washed (and not on my computer) and snow leopards ran around in the Himalayas, and not on my desk top. “Meet Mac OSX Lion” was the title of this electronic epistle, and included a video of Steve Job’s presentation at the most recent “special press event” by Apple, staged somewhere near Cupertino America. 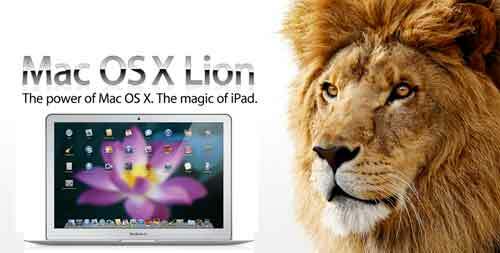 It’s fact: the next operating system to be released by Apple this coming summer is called Lion. Which contrasts significantly to the one running on my desk today called Snow Leopard. So it’s public knowledge now that Snow Leopards are soon to be extinct, in both the software world and in the natural one as well. My flashback took me back to the days before Windows, when I first sat down to my first operating system (OS) and began typing on a fat keyboard the size of a small dog, and was amazed by the screen that was monotone bright green. The name of that operating system was VM/370 and produced by IBM. The big deal then was that a computer (known in the ‘70s as a mainframe) could do more then two tasks at the same time, even though the computer was the size of a small bedroom and costs hundreds of thousands of dollars. The “VM” in IBM VM/370 stood for virtual machine, and the concept of being a virtual machine is akin to when we drive a car, listen to music and read a web page - all at the same time we are yakking on on the phone! “Multi-tasking” originally was not you taking the kids to school while texting your boss and listening to the car radio, but the ability of a computer to create virtual threads to do thousands of things at once (albeit, often badly and with hundreds of error messages). The new Mac Air laptop weights 1 kilo, is as thin as your kid’s spiral-bound math notebook, and can run several virtual machines at once - and several operating systems at once! For example, the Air can run Windows 7, Windows XP, Ubuntu, Vista (if you are nuts) and Snow Leopard all at the same time. And with the upcoming Lion operating system, you can do all that using an interface that resembles the one on your smartphone or tablet; swiping things left and right and pinching photos to zoom in and out. In fact, the new Lion interface looks a lot like the one on your Android smart phone, only bigger. For those unaware, Android is an operating system for mobile phones and refrigerators, whichever one you prefer. And this is the long-range point: software engineers want to make operating systems ubiquitous to the operator, like in Iron Man II when Tony Stark (Robert Downey Jr.) just spoke and waved his hands around glass panels to operate his artificial intelligence device named J.A.R.V.I.S. Science fiction is slowly becoming science fact. But for now, the state-of-the-art operating system (OS) is going to look like the screen of a standard smartphone, only bigger and probably harder to operate. Apple’s Lion is just one more baby step on the way to making a computer’s OS invisible to you, but always there for ya. Personally, I’m a bit nostalgic for those days when all you had to do was to type in text next to a blinking green cursor. Life seemed simpler when I only did one thing at a time, while my computer perhaps did two or three, and when the number of files and folders that I owned I could count on my hands and toes. I just counted the files used by the Snow Leopard 10.6.4 operating system sitting on my desk today: two million files in over 360,000 folders. That’s over 4,000 files for each of the remaining 500 or so living snow leopards in Nepal, if they were interested, and that is 1,999,990 more files then I could ever remember owning. But the younger generation could care less about files and folders. How many teens know what OS is running on their Xbox or iPhone? We in the wise know the answers to be 1) any one you want, and 2) iOS. But we in the know, know this: that the operating systems of today are about to fundamentally change again, and this time the most significant feature of the new breed is that you won’t know or care that it’s there – you just do things without any configuration and all of the associated clicking and typing. No more drag and drop - you just swipe and pinch to get your stuff done. And for those of us who grew up with Ctrl-C and Ctrl-P for cut and paste, we are about to go the way of Nepal’s living snow leopards, extinct and perhaps forgotten but for marketing blurbs on billboards like this one: “Mac OSX Lion – Get Your Bite Back." read more "TECH TALK: Meet Mac OSX Lion"
The truth surrounding the recent inclusion of the word “iPad” into our computing lexicon is that the “tablet” as a computing device has been long in the making, and that tablets have a long history as a producible gadget - dating back to the Apple Newton of 1993. The Newton was a game changer for personal computing, as it was the first device that freed the user from the confines of mouse, a keyboard, and a hierarchal file system where knowing the name of a file meant everything. The Newton also introduced the concept of a stylus (pen-like device) that when pressed on the pressure-sensitive screen, allowed you to draw, drag and drop. While the Newton never really took off as a product (outside of the small group of ubergeeks that shelled out $1000 USD for one), a competing product from Palm Inc. did. The PalmPilot, introduced in 1996, had a retail price of just a few hundred dollars, ran on two AAA batteries, and synced your calendar, contacts, and address book with your Windows 3.1 PC. The first generation Palms had a monochrome screen and a tiny bit of RAM to hold your precious. But later, with the Palm III and a series of follow-ons, color screens were introduced, RAM increased, and the Palm operating system began to resemble something akin to what we see on every smart phone today: a mini windows-like operating system with internet connectivity. These PDAs (Personal Digital Assistants) where the mainstay for mobile professionals for almost a decade until the rise of the smart phone killed them all off: everyone switched to mobile phones that had all those PDA features built in and more: WiFi, cameras, music & video players, and of course the ability to make a call. And while all that was taking place in the tech world, Microsoft had it’s own plan brewing for a “tablet PC.” But in this case the tablet released back in the early 2000’s was not the size of a PDA (approximately 4”x7”), but laptop size and weight. The MS tablet PC differed from a traditional laptop by adding a touchscreen, some with stylus and some with just finger touch, and some with keyboards and some without, but none with a phone built in. PaceBlade is the company that made the tablet PC popular amongst all industrial sectors, while the tablet PC never really caught on fire with the general public. For example, DHL and others use Blade tablets to capture customer signatures and to record and track inventory. All important innovations yes, but flat out boring to any normal human being. It wasn’t until just this year that Apple’s iPad recharged consumer interest in owning a tablet device other then their smart phone. Apple’s iPad is about 7.5 inches wide by 9.5 inches long (about the size of a small paper notebook) and has a screen that rivals any netbooks. There is no keyboard other then the software kind onboard, and you use your fingers and accompanying gestures to control all aspects of the device (no stylus to eventually loose). It’s brilliance in design can be counted in numbers sold: about ½ million in just a few months. At $500+ USD per unit, and with numbers that now rival iPod sales, this makes the iPad a winner for Apple - and a revolution in the making for consumers. The upcoming western holiday season will see competing vendors introducing tablets of their own: Samsung with the Galaxy Tab, BlackBerry (RIM) with the PlayBook, and HP with the Slate. All of these tablets have several things in common: they all do most things that you do on your computer today, as well as most things that you do on your mobile today, except to make traditional phone calls. But with the announcement of Line2, just one of the over ½ billion applications available for Apple devices, you can now use an iPad just like a mobile phone, only you can’t fit the thing in your pocket. So what we have today are tablets that are bigger then phones, but as small as a netbook, that do a little less then “real” computers, but have the promise to turn everything in the personal computer industry upside down. And surprisingly, India is poised to do just that - by introducing a state-subsidized tablet for just Nrs. 2,500. You read that right, for about $35 USD, India is claiming it will vanquish MIT’s One Laptop Per Child (which runs for $100 USD), with a tablet that does even more for students and homebodies alike. Now I hear you all snickering, after all, the Tata Mini was supposed to be less then $1000 USD and is now selling for well over $2500 USD, but the Indian Moby Tablet, even if it eventually sells for Rs. 3000 will be some achievement, and will surely change the way all students interact with computers. Heck, the Indian tablet is dressed out with USB ports, video conferencing capabilities, and can also be solar charged. It runs on Google’s Android (just like many of your phones do) and plays Adobe Flash content (read YouTube), which currently the iPad does not. So the truth about tablets is this: we are all going to see a lot more of them in the months to come, and there are indications that they may become as cheap as those PDAs many of us once had (and that are now decomposing in a drawer somewhere). And even more exciting is that these new devices may become inexpensive enough to actually bring computing down to the poorer parts of the planet, to include our own poverty parking lot here in Nepal. read more "TECH TALK: The Truth About Tablets"
All work (c) 2009-2011 by Jiggy Gaton. Reprinting is permissible under a creative common license; contact Phoenix Studios Nepal for details.